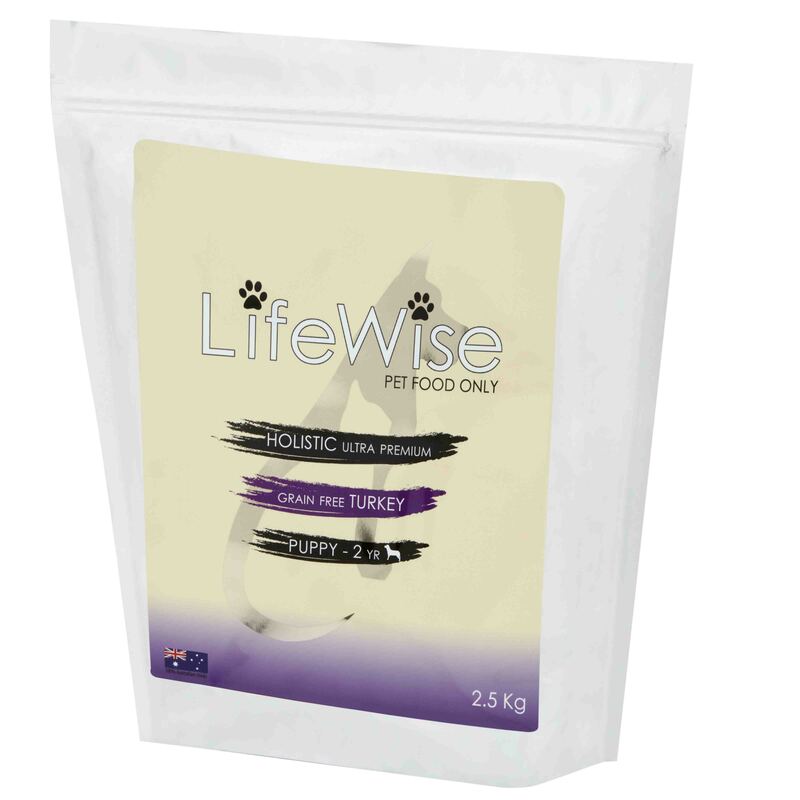 Manufactured with large breed pups in mind, prime turkey and mixed vegetables, vitamins, minerals and essential oils make this a scientifically balanced holistic food for all pups to mature height. 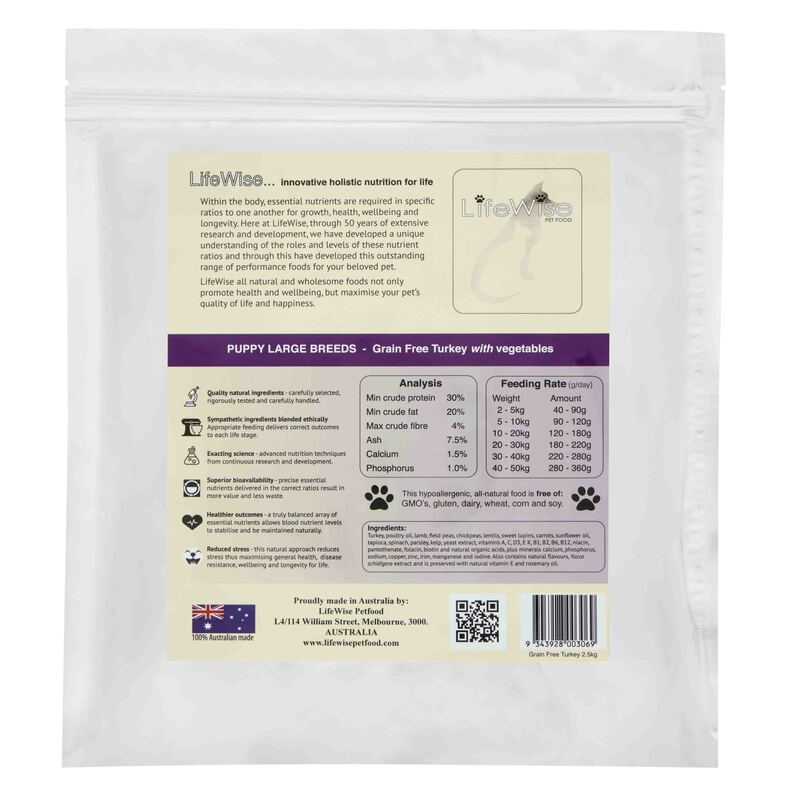 A concentrated, high profile diet that is designed to remove any limitations to growth and development of large breed pups and should be the sole food used until mature height is reached. 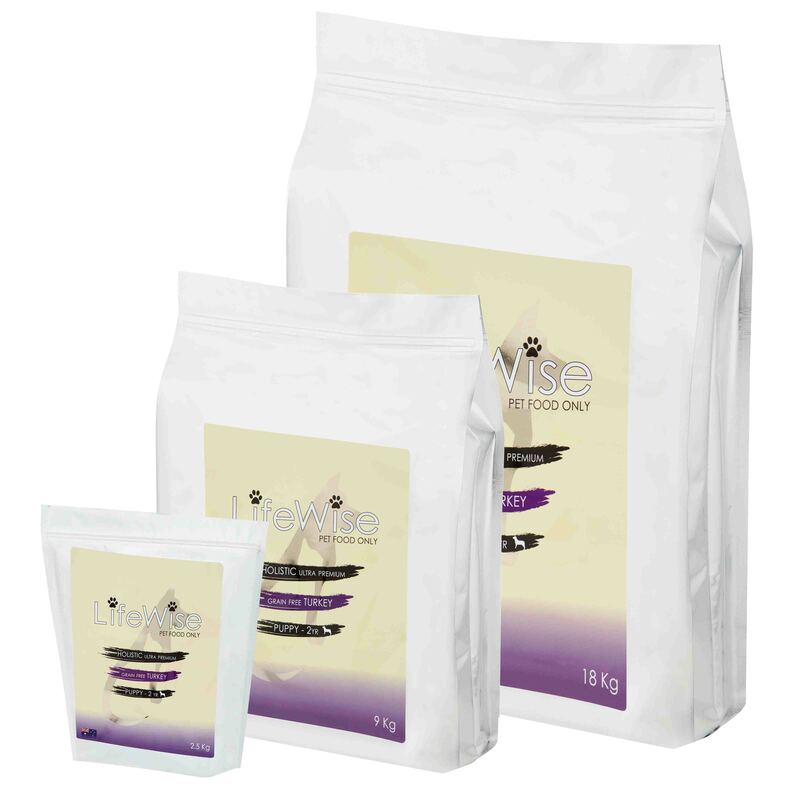 This food also contains kelp, yeast extracts with added beta glucans for optimum intestinal health, plus Yucca schidigera extract. Turkey, Australian lamb, poultry oil, field peas, chickpeas, lentils, sweet lupins, carrots, egg, tapioca, spinach, parsley, kelp, yeast extract, vitamins A, C, D3, E, K, B1, B2, B6, B12, niacin, pantothenate, folacin, biotin and natural organic acids, plus added minerals calcium, phosphorus, sodium, copper, zinc, iron, manganese and iodine. Also contains natural flavours, Yucca schidigera extract and is preserved with natural vitamin E and rosemary oil.